We puzzled over it for a long time. Only after repeated experiments did we conclude with certainty that all children are endowed with this capacity to ‘absorb’ culture. If this be true – we then argued – if culture can be acquired without effort, let us provide the children with other elements of culture. And then we saw them ‘absorb’ far more than reading and writing: botany, zoology, mathematics, geography, and all with the same ease, spontaneously and without getting tired. Maria Montessori is as controversial a figure in education today as she was a half century ago. Alternately heralded as the century’s leading advocate for early childhood education, or dismissed as outdated and irrelevant, her research and the studies that she inspired helped change the course of education. Those who studied under her and went on to make their own contributions to education and child psychology include Anna Freud, Jean Piaget, Alfred Adler, and Erik Erikson. Many elements of modern education have been adapted from Montessori’s theories. She is credited with the development of the open classroom, individualized education, manipulative learning materials, teaching toys, and programmed instruction. In the last thirty-five years educators in Europe and North America begun to recognize the consistency between of the Montessori approach with what we have learned from research into child development. Maria Montessori was an individual ahead of her time. She was born in 1870 in Ancona, Italy, to an educated but not affluent middle class family. She grew up in a country considered most conservative in its attitude toward women, yet even against the considerable opposition of her father and teachers, Montessori pursued a scientific education and was the first woman to become a physician in Italy. As a practicing physician associated with the University of Rome, she was a scientist, not a teacher. It is ironic that she became famous for her contributions in a field that she had rejected as the traditional refuge for women at a time when few professions were open to them other than home-making or the convent. The method evolved almost by accident from a small experiment that Dr. Montessori carried out on the side. Her genius stems not from her teaching ability, but from her recognition of the importance of what she stumbled upon. Her work reinforced her humanistic ideals, and she made time in her busy schedule to actively support various social reform movements. Early in her career she began to accept speaking engagements throughout Europe on behalf of the women’s movement, peace efforts, and child labor law reform. Montessori become well known and highly regarded throughout Europe, which undoubtedly contributed to the publicity that surrounded her schools. In 1901 Montessori was appointed Director of the new orthophrenic school attached to the University of Rome, formerly used as the asylum for the “deficient and insane” children of the city, most of whom were probably retarded or autistic. She initiated a wave of reform in a system that formerly had served merely to confine mentally handicapped youngsters in empty rooms. Recognizing her patients’ need for stimulation, purposeful activity, and self-esteem, Montessori insisted that the staff speak to the inmates with the highest respect. She set up a program to teach her young charges how to care for themselves and their environment. At the same time, she began a meticulous study of all research previously done on the education of the mentally handicapped. Her studies led Montessori to the work of two almost forgotten French physicians of the eighteenth and nineteenth centuries: Jean Itard and Edouard Seguin. Itard is most famous for his work with the “Wild Boy Of Aveyron”, a youth who had been found wandering naked in the forest, having spent ten years living alone. The boy could not speak and lacked almost all the skills of everyday life. Here apparently was a natural man – a human being who had developed without the benefit of culture and socialization with his own kind. Itard hoped from this study to shed light on the age-old debate about what proportion of human intelligence and personality is hereditary and what proportion stems from learned behavior. The experiment was a limited success, for Itard found the wild boy uncooperative and unwilling or unable to learn most things. This led Itard to postulate the existence of developmental periods in normal human growth. During these sensitive periods a child must experience stimulation or grow up forever lacking adult skills and intellectual concepts that he missed at the stage when they can be readily learned! Although Itard’s efforts to teach the wild boy were barely successful, he followed a methodical approach in designing a process, arguing that all education would benefit from the use of careful observation and experimentation. This idea had tremendous appeal to the scientifically trained Montessori, and later became the cornerstone of her method. From Edouard Seguin, Montessori drew further confirmation of Itard’s work, along with a far more specific and organized system for applying it to the everyday education of the handi-capped. Today Seguin is recognized as the father of our modern techniques of special education for the retarded. From these two predecessors, Montessori took the idea of a scientific approach to education, based on observation and experimentation. She belongs to the Child Study school of thought, and she pursued her work with the careful training and objectivity of the biologist studying the natural behavior of an animal in the forest. She studied her retarded youngsters, listening and carefully noting every-thing that they did and said. Slowly she began to get a sense of who they really were and what methods worked best. Her success was given widespread notice when, two years after she began, many of the “deficient” adolescents were able to pass the standard sixth grade tests of the Italian public schools. 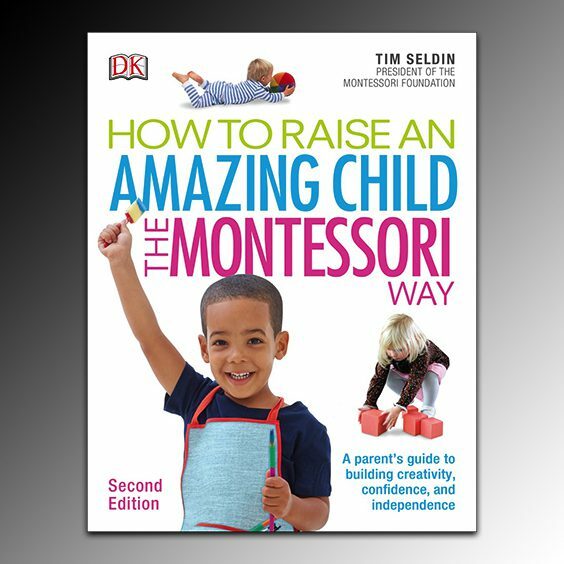 Acclaimed for this “miracle”, Montessori responded by suggesting that her results proved only that public schools should be able to get dramatically better results with normal children. The Italian Ministry of Education did not welcome this idea, and she was denied access to school-aged children. 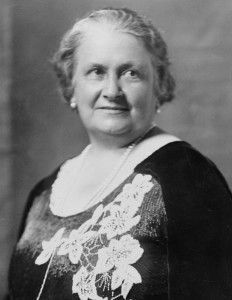 Frustrated in her efforts to carry the experiment on with public school students, in 1907 Montessori jumped at the chance to coordinate a day-care center for working-class children who were too young to attend public school. This first Casa dei Bambini, or Children’s House, was located in the worst slum district of Rome, and the conditions Montessori faced were appalling. Her first class consisted of fifty children from two through five years of age, taught by one untrained caregiver. The children remained at the center from dawn to dusk while their parents worked. They had to be fed two meals a day, bathed regularly, and given a program of medical care. The children themselves were typical of extreme inner-city poverty conditions. They entered the Children’s House on the first day crying and pushing, exhibiting generally aggressive and impatient behavior. Montessori, not knowing whether her experiment would work under such conditions, began by teaching the older children how to help out with the everyday tasks that needed to be done. She also introduced the manipulative perceptual puzzles that she had used with the retarded. The results surprised her, for unlike the “retarded” children who had to be prodded to use the materials, these little ones were drawn to the work she introduced. Children who had wandered aimlessly the week before began to settle down to long periods of constructive activity. They were fascinated with the puzzles and perceptual training devices. 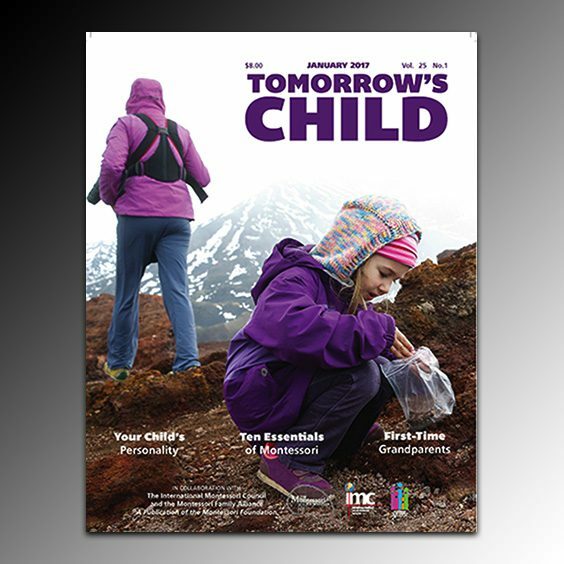 To her amazement, children three and four years-old took the greatest delight in learning practical everyday living skills that reinforced their independence and self-respect. Montessori made a practice of paying close attention to the their spontaneous behavior, arguing that only in this way could a teacher know how to teach. Traditionally, schools pay little attention to children as individuals, other than to demand that they adapt to our standards. Montessori argued that the educator’s job is to serve the child; determining what each one needs to make the greatest progress. To her, a child who fails in school should not be blamed, any more than a doctor should blame a patient who does not get well fast enough. After all, it is the job of the physician to help us find the way to cure ourselves, and the educator’s job to facilitate the natural process of learning. Montessori’s children exploded into academics. Too young to go to public school, they begged to be taught how to read and write. They learned to do so quickly and enthusiastically, using special manipulative materials that Montessori designed for maximum appeal and effectiveness. The children were fascinated by numbers; to meet this interest, the mathematically inclined Montessori developed a series of concrete Math learning materials that has never been surpassed. Soon her four- and five year-olds were performing four-digit addition and subtraction operations, and in many cases pushing on even farther. Their interests blossomed in other areas as well, compelling an over-worked physician to spend night after night designing new materials to keep pace with the children in geometry, geography, history, and natural science. The final proof of the children’s interest came shortly after her first school became famous when a group of well-intentioned women gave them a marvelous collection of lovely and expensive toys. The new gifts held the children’s attention for a few days, but they soon returned to the more interesting learning materials. To Montessori’s surprise, most of the time children who had experienced both preferred work over play. If she were here today, Montessori would probably add: Children read and do advanced Mathematics in Montessori schools not because we push them, but because this is what they do when given the correct setting and opportunity. To deny them the right to learn because we, as adults, think that they shouldn’t is illogical and typical of the way schools have been run before. Montessori evolved her method through trial and error, making educated guesses about the under-lying meaning of the children’s actions. She was quick to pick up on their cues, and constantly experimented with the class. For example, Montessori tells of the morning when the teacher arrived late to find that the children had crawled through a window and gone right to work. At the beginning, the learning materials, having cost so much to make, were locked away in a tall cabinet. Only the teacher had a key and would open it and hand the materials to the children upon request. In this instance the teacher had neglected to lock the cabinet the night before. Finding it open, the children had selected one activity each and were quietly working. As Montessori arrived the teacher was scolding the children for taking them out with-out permission. She recognized that the children’s behavior showed that they were capable of select-ing their own work, and replaced the cabinet with low open shelves on which the activities were always available to the children. Today this may sound like a minor change, but it contradicted all educational practice and theory of that period. One discovery followed another, giving Montessori an increasingly clear view of the inner mind of the child. She found that little children were capable of long periods of quiet concentration, even though they rarely show signs of it in everyday settings. Although they are often careless and sloppy, they respond positively to an atmosphere of calm and order. Montessori noticed that the logical extension of the young child’s love for a consistent and often-repeated routine is an environment in which everything has a place. Her children took tremendous delight in carefully carrying their work to and from the shelves, taking great pains not to bump into anything or spill the smallest piece. They walked carefully through the rooms, instead of running wildly as they did on the streets. Montessori discovered that the environment itself was all important in obtaining the results that she had observed. Not wanting to use school desks, she had carpenters build child-sized tables and chairs. She was the first to do so, recognizing the frustration that a little child experiences in an adult sized world. Eventually she learned to design entire schools around the size of the children. She had miniature pitchers and bowls prepared, and found knives that fit a child’s tiny hand. The tables were light-weight, allowing two children to move them alone. The children learned to control their movements, disliking the way the calm was disturbed when they knocked into things. Montessori studied the traffic pattern of the rooms as well, arranging the furnishings and the activity area to minimize congestion and tripping. The children loved to sit on the floor, so she bought little rugs to define their work areas and the children quickly learned to walk around them. Through the years, Montessori schools carried this environ-mental engineering throughout the entire building and outside environment, designing child-sized toilets and low sinks, windows low to the ground, low shelves, and miniature hand and garden tools of all sorts. Some of these ideas were eventually adapted by the larger educational community, particularly at the nursery and kindergarten levels. Many of the puzzles and educational devices now in use at the pre-school and elementary levels are direct copies of Montessori’s original ideas. There is far more of her work that never entered the main-stream, and educators who are searching for new, more effective answers are finding the accumulated experience of the Montessori community to be of great interest. Maria Montessori’s first Children’s House received overnight attention. Thousands of visitors came away amazed and enthusiastic. Worldwide interest surged as she duplicated her first school in other settings with the same results. Montessori captured the interest and imagination of national leaders and scientists, mothers and teachers, labor leaders and factory owners. As an internationally respected scientist, Montessori had a rare credibility in a field where many others had promoted opinions, philosophies, and models that have not been readily duplicated. The Montessori method offered a systematic approach that translates very well to new settings. In the first thirty years of this century, the Montessori method seemed to offer something for everyone. Conservatives appreciated the calm, responsible behavior of the little children, along with their love for work. Liberals applauded the freedom and spontaneity. Many political leaders saw it as a practical way to reform the outmoded school systems of Europe and North America, as well as an approach that they hoped would lead to a more productive and law-abiding populace. Scientists of all disciplines heralded its empirical foundation, along with the accelerated achievement of the little children. Montessori rode a wave of enthusiastic support that should have changed the face of education far more dramatically than it has. Montessori’s prime productive period lasted from the opening of the first Children’s House in 1907 until the 1930s. During this time, she continued her study of children, and developed a vastly expanded curriculum and methodology for the elementary level as well. Montessori schools were set up throughout Europe and North America. Dr. Montessori gave up her medical practice to devote all of her energies to advocating the rights and intellectual potential of all children. During her lifetime, Dr. Montessori was acknowledged as one of the world’s leading educators. Education moved beyond Maria Montessori, adapting only those elements of her work that fit into existing theories and methods. Ironically, the Montessori approach cannot be implemented as a series of piecemeal reforms. It requires a complete restructuring of the school and the teacher’s role. Only recently as our under-standing of child development has grown have we rediscovered how clear and sensible was her insight. Today there is a growing consensus among educators and developmental psychologists that many of her ideas were decades ahead of their time. 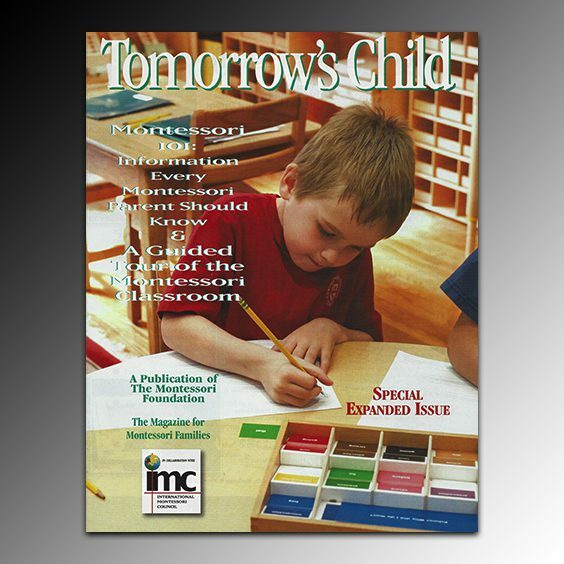 As the movement gains support and begins to spread into the American public school sector, and gains official recognition internationally, one can readily say that Montessori, begun a century ago, is a remarkably modern approach.